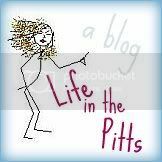 Life in the Pitts: I'm not scared of silence. I just avoid it whenever possible. I like a weird mix of music. My friend and I call Alanis, Pink, Avril, Christina and such artists Full Volume Girls, meaning you have to listen to them at full volume. I've been listening to a lot of Lindsey Ray, Duffy, Paper Tongues, Michael Buble, Jason Mraz, Cake, Colbie Calliat, A Fine Frenzy, Pink, Mike Snow, Run DMC, Beastie Boys, Courtyard Hounds, Glee Soundtrack (although I'm protesting the show I still love the music), Talking Heads, The Committments, and then a variety of old disco music, country, soundtracks from Les Mis, Phantom of the Opera, Wicked, O Brother Where Art Thou...I'm pretty much all over the place! I love "secrets" too. That is probably my favorite song of 2010. Actually, I really like your whole list. I love everything Usher this year too. He is pretty much amazing. And Cartel. And Taio Cruiz. And I have to admit (please don't think less of me...) but Justin Beiber isn't THAT bad...not saying I like him...but its kinda catchy crap that he sings. I am with you on the classical music. And Train, Lady Antebellum, and Sugarland. I guess I am getting old and need to check out the rest of that music - it doesn't sound familiar to me. Wow. I just listened to the Eminem because I have always liked his stuff. I am fascinated. Don't know if I want to have it on my ipod or not, but definitely interesting. I was 13 in 1980. So...um...yeah... Hair bands, punk, early alternative, and what is now called 'classic rock'. Hey Soul Sister & Love the Way You Lie are the only songs on your list I actually recognize. Now that I have Sirrius radio, I hardly ever hear new music. ... I'll stop, even though that doesn't even cover all the genres. See, I'm TOTALLY not a hip hop/rap/r&b or top 20 listener...but that dang Eminem song I LOVE. Oh, and I never really thought that Dominic Monahgan (i think i spelled that wrong) was THAT cute but for some reason he's kinda HAWT in that video. And I have a girl crush on Megan Fox. I know it's wrong. I KNOW! Shut up. I listen to everything, but I totally agree about Eminem and Glee's Bust Your Windows. Love love love. The only song I recognized up there was Hey Soul Sister by Train. But I am from the Neolithic period....or somewhere back there anyways. My favorite music is classic rock such as The Rolling Stones. I also like Motown tunes, a little country and yes, classical, as well as some music from operas such as Phantom of the Opera, Evita and Rent. I LOVE Glee! And I'm with you, there are quite a few songs that I like better when Glee sings them. I LOVE "Jessie's Girl." And when I first heard Cory getting ready to sing it, I was a little miffed because I thought there was no way he could do it justice. OMG! He ROCKED it. I still like Rick Springfield's version, but I would MUCH rather listen to Cory's version. Of course, that could just be that I could listen to him sing the Alphabet Song, and I'd be fine! :) But Glee has introduced me to a lot of songs I'd never heard before, and I'm okay with that. My kids favor John Mayer and the Beatles, so that's about all I listen to these days. I find that I don't mind. My husband played on Pat's (Train) solo record. He's such a sweet guy and amazing singer. LOVE him! I'm such a music person, too. I love your picks. My husband is a bass player, I'm always wired to an ipod or have something playing. Technology is so good to us, isn't it? I found you through Lucy's hop, and I'm following. I'm a big country fan. I'm just going to throw out some favorites of 2010, in no particular order. I mostly listen to music when I'm at the gym...so most of these are upbeat/"get moving" type songs. * Bottoms Up feat. Nicki Minaj (love her)...the solo is really the only part that makes the rest of the song worth it! Ok I promise to listen to all of these when my husband is not blasting salsa. That could totes be my soundtrack as well! P.S. Now Shy Ronnie is stuck in my damn head. Thanks a lot!